Your own private EXCLUSIVE yet affordable Riad in Marrakesh. 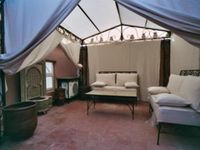 Property 24: Your own private EXCLUSIVE yet affordable Riad in Marrakesh. Our stay at Riad Romm&rsquo;an was amazing. The Riad was tastefully decorated with all the comforts to make our stay memorable. Maoud and Zhara were wonderful hosts. They took care of us, preparing delicious meals, booking dinner reservations, arranging day excursions outside the city and scheduling treatments at the hamman. 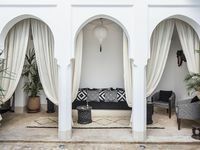 We would definitely recommend Riad Romm&rsquo;an to anyone visiting Marrakech.